The pet industry is over a $70 billion industry with the average pet owner spending one-percent of their annual income on the family pet. 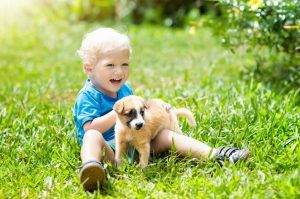 With this love for pets, especially the family dog, it is no huge surprise that pets are a huge factor in a new home purchase. 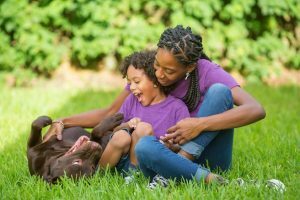 In fact, according to many recent studies, Millennials put these furry friends first when buying a home, including evaluating amenities for dogs such as dog parks and doggy spas included in the neighborhood. 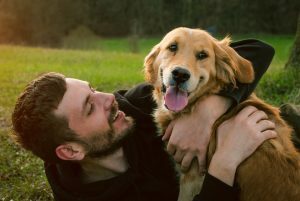 For this demographic, 79 percent of pet-owning home buyers who closed on a property this year said they would pass up an otherwise perfect home if it didn’t meet the needs of their pets, according to a Realtor.com survey. 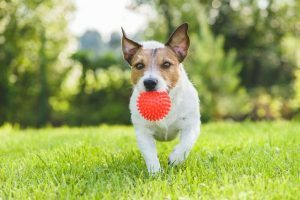 Savvy home builders and developers in the metro Atlanta market know that home buyers are looking as much at the home’s amenities for their fur kid as for themselves. 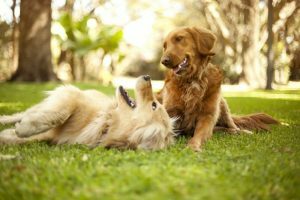 To answer this growing need to find the perfect home for that lovable Labrador, labradoodle, bulldog, beagle or poodle, builders have started incorporating dog parks into communities. We have rounded up a few around town for you to look at. So, in between obedience school and all those trips to the pet store for food and toys, wag on by these communities and take a look at how they cater to man’s best friend. 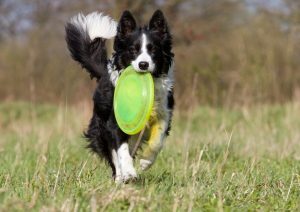 Located off the Square in Marietta, Marvelle offers a fenced dog park for Fido to run, jump and play. Builder Heatherland Homes designed Marvelle in a Lowcountry style with lots of front porch options to make you feel good when you arrive. Home pricing in this Cobb County community will also make buyers feel good, as homes are affordably priced from the high $200,000s. Marvelle offers both single-family and townhome plans within walking distance to the Marietta Square. Stop by to see how man’s best friend will love this community with fully sodded and landscaped front yards and sidewalks perfect for long walks around the community or all the way to the Marietta Square. The Marvelle sales office is located at 146 Gunter Street in Marietta. To make an appointment, call Shannan Campbell or Lee Wilmot at 770-502-6230. For more information, visit Marvelle online. Hidden Creek View, a new luxury townhome community from McKinley Homes, is located in Suwanee, Georgia. 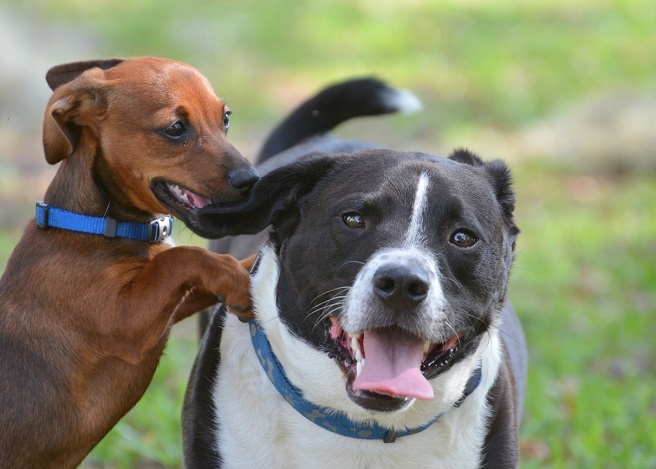 This community includes greenspace with a dog park perfect for Bowser to meet other playmates. Hidden Creek View is priced from $349,900 and homes include elevators! Front entry homes feature patios perfect for an adult beverage on a summer’s evening and rear entry homes offer decks which are great for grilling out or watching the sunset. This community is located in the super-popular Lambert High School district. For more information, call 404-850-0258 or visit Hidden Creek View online. Woodland Parc, located by SunTrust Park, is an intimate 12-home townhome community by Traton Homes. With move-in ready homes available, pack your things and bring Molly or Bella with you. Your dog will love the walkability, nearby trails, and community dog park. 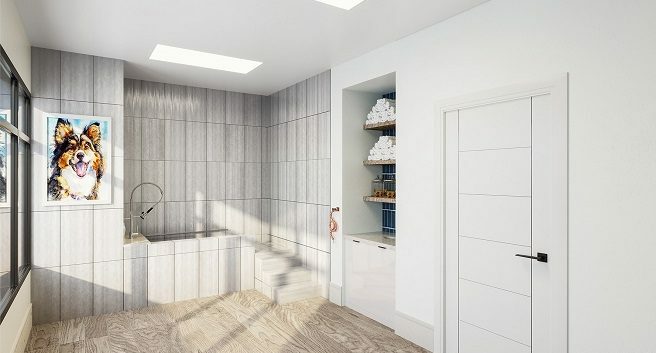 Homes at Woodland Parc are priced from the $390,000s and offer three bedrooms and two-and-a-half bathrooms. These homes feature the low maintenance lifestyle today’s home buyers crave. Homeowners can spend more time doing the things they enjoy on weekends instead of mowing their lawn. Woodland Parc is conveniently located near great shopping, entertainment and dining such as Cobb Galleria and The Cobb Energy Performing Arts Centre, in addition to The Battery Atlanta, as well as Interstates 75 and 285, and Highway 41. For more information about calling Woodland Parc home, call Neda Gayle at 678-391-9495. The Registry at Marietta Square is an enclave of 12 total homes that feature timeless architecture to honor the heritage of the area. Walkable to downtown Marietta, the neighborhood features a fenced dog park and pool memberships are available at nearby North Square. Priced from the high $400,000s, The Registry at Marietta Square offers three-story townhomes with finished terrace levels and two-car rear-load garages with elevator options available. Built by Traton Homes, the first building of six townhomes is complete now and ready to welcome homeowners! Two of these units are sold and building two is under construction. For more information, visit The Registry at Marietta Square online. Chelsea Walk, a gated townhome community from The Providence Group, is located in Alpharetta in the Milton High School district and priced from the mid-$400,000s. The community offers master-on-the-main plans, as well as master-up plans. Community amenities include a gated entrance, a fenced dog park, private pocket parks throughout and HOA-maintained lawns and landscaping. The community’s prime location offers direct access to the upcoming Alpha Loop and City Trail to include walking trails, sitting areas, pocket parks, interspersed public art, beautiful landscaping, bicycle facilities and parking. Chelsea Walk is the perfect blend of high life and low-maintenance living in one prime, walkable destination – perfect for walking Fido or just taking him to the dog park to play. Call 470-277-2528 or visit Chelsea Walk for directions or information. Harlow, a Roswell townhome community by Atlanta home builder Edward Andrews Homes, includes fantastic amenities including two glistening pools, a clubhouse, dog parks, lighted tennis courts, wide-open greenspaces and gated community entrances. The community prides itself on having an on-site “lifestyle maker,” a team member specifically designated for planning the community’s exciting events. As a result of the lifestyle maker’s hard work, Harlow hosts food truck nights, family game nights, trivia, happy hours and much more. Further, homeowners will have access to the community garden for fresh produce in the spring and walking trails for pleasant strolls and exercise. 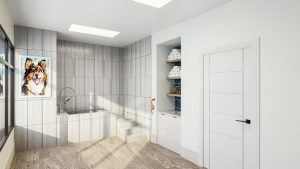 The community showcases six different townhome designs and prices range from the high $300,000s to the high $600,000s. For more information about Harlow, call 678-738-7630. 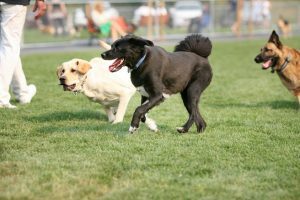 Halcyon, a master-planned community in South Forsyth County located at 1400 McFarland Parkway in Alpharetta, offers a very large, private dog park to its residents. Additionally, the 135-acre community offers restaurants, shopping, public art, creative loft offices, two modern hotels and beautiful residences. Halcyon connects to Forsyth County’s BeltLine-like Big Creek Greenway and includes a community pool and clubhouse as well as about 50 acres of its own greenspace. An abundance of walking trails and paved pathways wind through the community to connect people and places. Monte Hewett Homes is building Village Homes and Townhomes at Halcyon, and construction is now underway. For more information, visit Halcyon online. Seven88 West Midtown includes resort-style amenities such as a saltwater pool, whirlpool spa, clubroom with demonstration kitchen, billiards and a lounge. Fitness enthusiasts will love working out at the state-of-the-art fitness and yoga facility. Controlled access parking, bike storage and onsite building management mean homeowners can live life large and not worry about details. The family dog has been included in the amenities for this beautiful condo. The doggy spa is just as beautiful and functionable as the rest of the building featuring a tub with steps to accommodate both large and small breeds, a hand-held shower attachment and lots of towels for drying off after the spa experience is complete. To learn more about Seven88 West Midtown, visit www.788WestMidtown.com or schedule an appointment with a sales agent at the newly opened Sales Gallery by calling 404-800-0170. Our love affair with the dog dates back to Europe 15,000 years ago, and they are as much part of our family as our human family members. Take Bowser for a walk and while you are out and about, visit some of these fantastic dog-friendly communities.